Smart Hostel is situated in Odessa, 3.4 km from Odessa Archaeological Museum. This property is located a short distance from attractions such as Spartak Stadium. Odessa Theatre of Opera and Ballet is 3.5 km from the hostel and Duke de Richelieu Monument is 3.8 km away. Guest rooms in the hostel are fitted with a coffee machine. 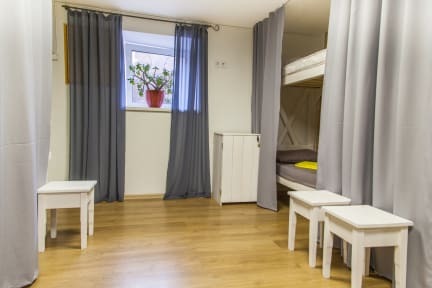 Featuring a shared bathroom with a shower, rooms at Smart Hostel also offer free Wi-Fi, while selected rooms also feature a city view. At the accommodation, each room comes with a seating area.